MNQ Corporation Co.,Ltd. 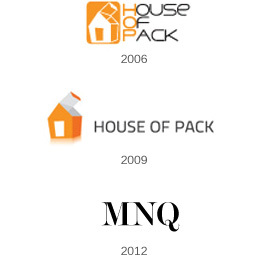 is formerly "House of Pack Corp.,Ltd." launched in September 2006. Our business started with packaging business catering to many food manufacturers in Thailand for years. We distribute the interesting and innovative packagings from suppliers around the world, and exclusively represent the leading plastic manufacturer from Europe for state-of-the-art high barrier plastic packaging in Thailand. In 2012, we decided to diversify our business to cover other segments which are in our interest. So we changed the company name to MNQ, expanding to handle all of our businesses under one big roof.